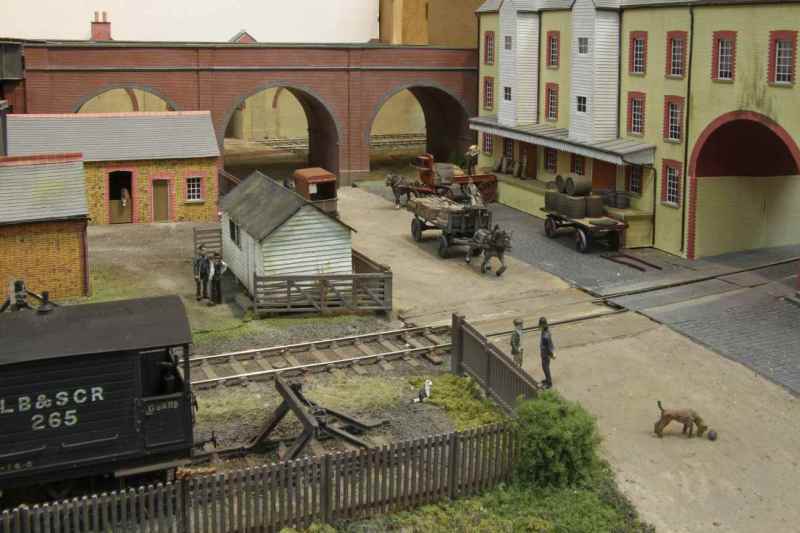 A selection of photographs from Brighton Road, showing some of the mini-dioramas on Brighton Road, which hopefully made the layout interesting to look at, apart from moving trains. 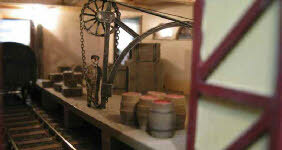 Left, a scene from the coal yard - a Dart castings coal dray, a modified Cambrian wagon (coal door open, brakes on) and scratch built coal staithes. Right, a photo of the brewery warehouse - a dog and hedgehog, a couple of cats, a few vehicles, and people in deep conversation about something or other. 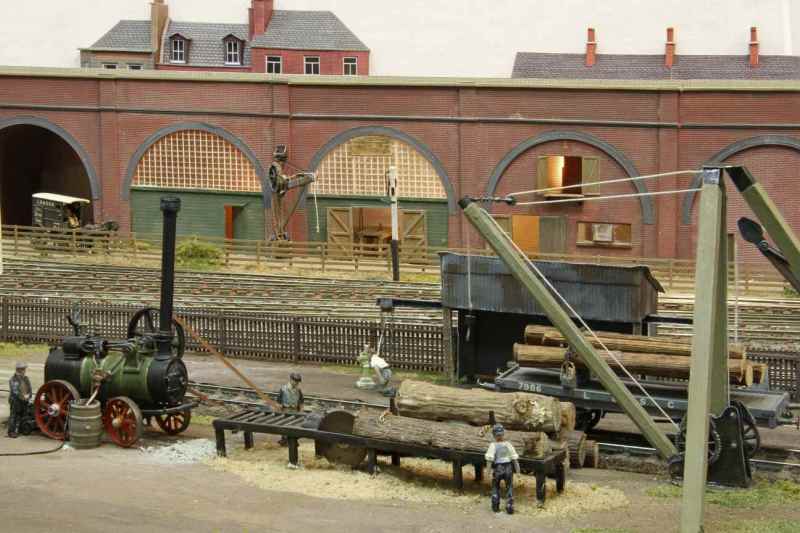 Left, the saw bench in the timber yard with the derrick crane (both scratchbuilt) alongside the Langley Model’s steam engine, the coal heap, water barrel, and leaking hosepipe. 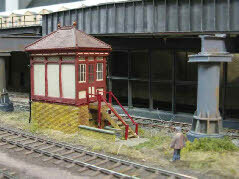 Right, the signal cabin in the Brighton Road lower yard - in fact a model of the Ardingly box, and formerly part of ‘West Chiltington’. Left, the gibbet crane outside the arches workshops. Just visible in the right-hand arch is a saw bench, and out-of sight to the left of the door is a lathe with overhead belt drive. The arch interiors were lit with small ‘pea’ bulbs. 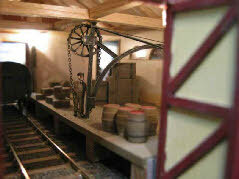 Right, the inside of the goods shed, with modified Wills crane, and various loads, internally lit. Left, a few market stalls outside Brighton Road station, with the ticket office to the right, and in the background the steps leading up to the platform. Right, the stables for the shunting horses in the marshalling yard, with the viaduct in the background. 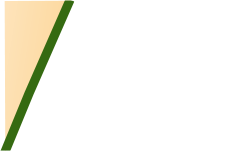 Both these buildings were made using computer generated artwork, described in more detail here.